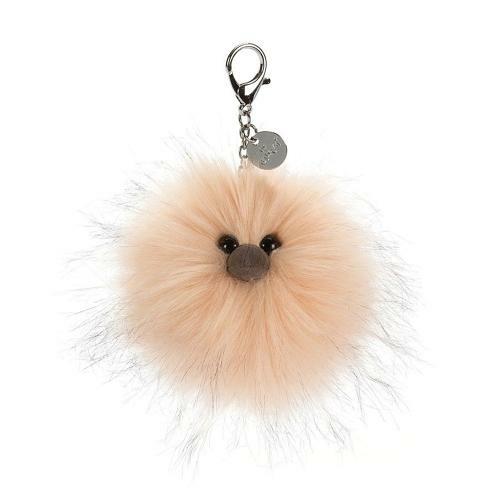 The Just Peachy Bag Charm is gorgeously pink, like a fluffy scoop of strawberry ice cream! Squishy, silky and cheery, it's a kooky charm with sweetshop colours. Keep it bright-eyed and grey-beaked with this supercute accessory. Warning: may cause complete strangers to compliment your bag.